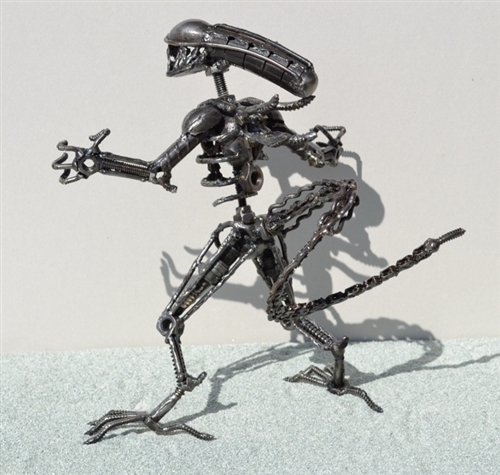 This amazing ALIEN sculpture is approx. 10 inches tall and has fantastic detail, l like a moving head and torso and a removable tail. 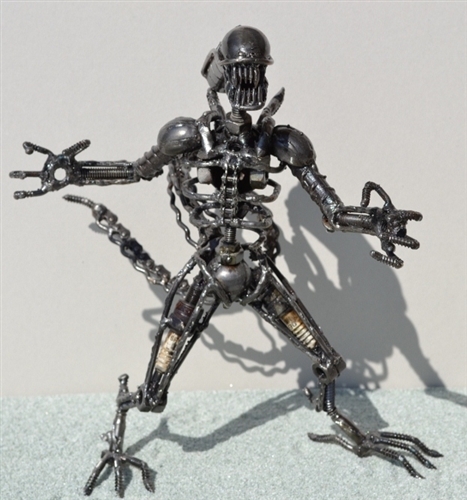 Parts used on this amazing piece are spark plugs, nails, screws, motorcycle chain etc. 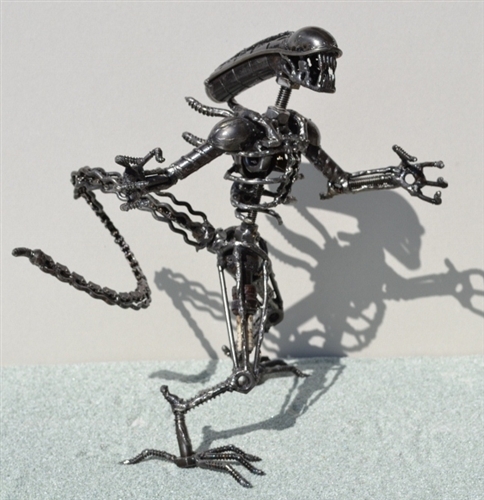 This ALIEN takes about twelve hours of skilled welding. 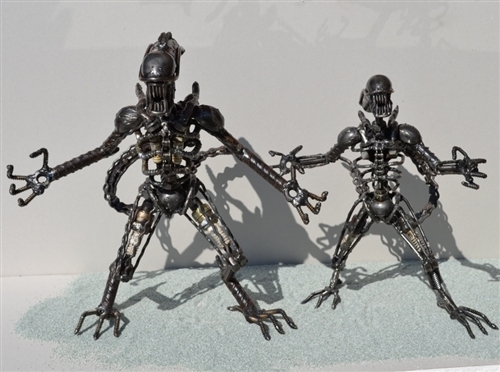 We added a photo of the two different Alien sizes so can can see the difference.